For some students, committing to a rental agreement will be the first time they will be required to sign a legally binding contract. Although a move off campus signifies to many students a step toward independence, Ohio State students do not have to take that step alone. Student Legal Services can walk students through the renting process with legal counseling, offering advice on topics ranging from sublease contracts to security deposits. These services are covered by the first term enrollment charges for all students taking classes on campus. 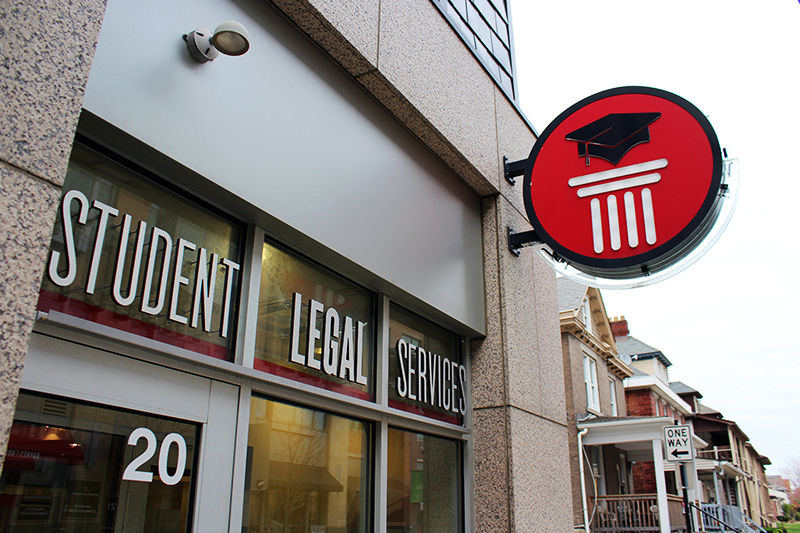 The service, located near the corner of East 11th Avenue and High Street, is a nonprofit and functions independently from university offices and departments, offering full confidentiality to student clients. Molly Hegarty, the managing director of Student Legal Services, said the office counsels through advice, representation, education and resources. Hegarty said the most common advice sought by students is lease reviews. With many students not aiming for law school, the complicated and potentially ambiguous language in a contract can be intimidating and overwhelming. And with that contract’s ability to hold students to a long and expensive commitment, SLS encourages students to stop by and sit down with an attorney for a line-by-line review of the terms, explaining to students their rights and responsibilities under Ohio law. Although not all contracts have hidden pitfalls or are written with bad intent, Hegarty said she thinks it’s a good idea to make sure both tenants and landlords are on the same page. Landlords might not be bad people, but that doesn’t necessarily make them good business people. And the service can even assist students who only have a vague idea of how to kick off their off-campus housing search, offering pre-lease appointments that can help students know where and what to look for in the off-campus housing market. Matters concerning security deposits are another popularly addressed issue at SLS, with students seeking advice on issues ranging from check amount disputes on returned deposits to not having received a returned deposit or explanation at all, Hegarty said. Under Ohio law, a former tenant is entitled to a returned security deposit or an itemized list of deductions and a total of withholdings from a landlord within 30 days of giving a forwarding address and returning keys. Hegarty said even a dispute of smaller amounts on a returned deposit is worth investigating through SLS. But a renter’s best move to secure a returned deposit might be a preemptive one by documenting the state of a house or apartment before the first leg of a futon touches down. Hegarty said SLS suggests immediately taking photographs or video of damage and filling out one SLS’s move-in checklists, even if it complements one provided by your landlord, so that renters have evidence in the event of a future discrepancy. Photos and another rundown of the checklist at move-out can also provide comparative evidence. “We understand the whole picture of a student really well. We understand that this is a small subset of what else is going on in your life. If we can take away that little part and help you and free you up for everything else that’s important, that’s important for us,” she said. Hegarty said Student Legal Services sees about 4,000 students annually, offering services regarding civil, traffic and criminal misdemeanor issues, and has increased over the past five years with positive word-of-mouth.